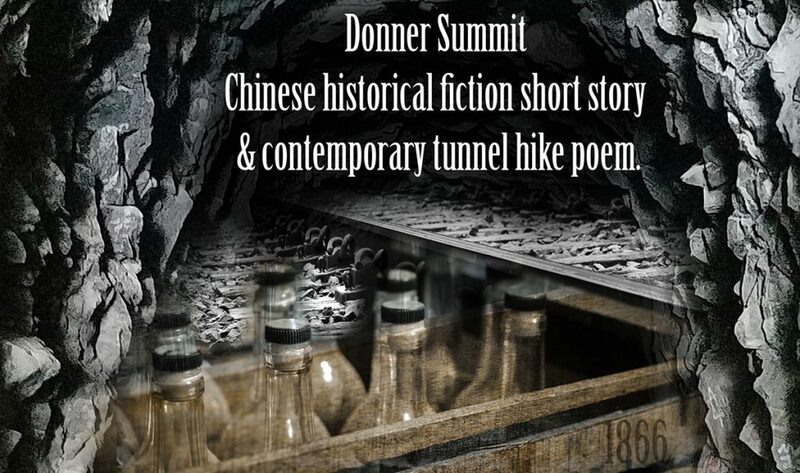 It was Yáng and Foshan’s first day working in tunnel number six. Bolin had been here for a month. He was taller and more muscular than most of his countrymen. Once he started hammering a borehole, Bolin could do it in half the time as anyone else. The problem was getting him into the tunnel. Nitroglycerine was a new construction tool recently brought to the mountain. Blasting holes don’t have to be as deep as those for black powder. After detonation, there is less residual dust. Its downside is volatility. Slight movements or temperature shifts can set it off. No one makes eye contact with the nitro carrier, bets are placed on how long he’ll last. All work ceases when the nitro bearer arrives, stepping softly, holding his breath. Bolin’s brother had been a nitro carrier. An untimely sneeze turned him into red rain. Chinese dead must be buried with their ancestors. 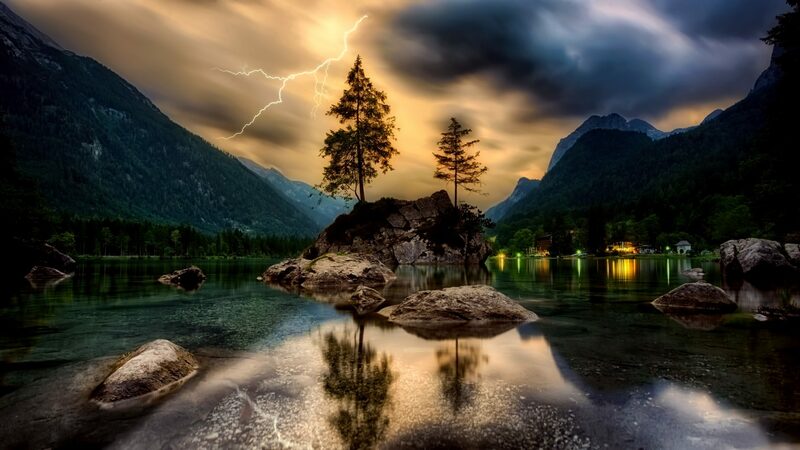 A soul is cursed if there are no remains. In Chinese tradition, the dead must be buried on home soil. Systems are in place to return sojourner bones to China. When ancestors are gathered, the family grows stronger. Living relatives honor them with celebrations. Spirits of the dead are cursed if they leave no human remains. Hun and po split. 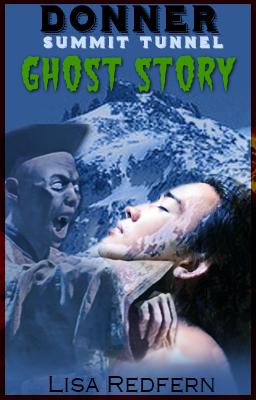 Po, the evil, foolish part lurks in the dark hunting for life force energy (qi), stealing it from the living. Once enough qi is gathered, the po can reanimate a dead body. Stiff and green with mold, they grow claw-like fingernails and fang-like teeth. Hopping, they move slowly, but they never stop. Ever. Foshan trotted to keep up, patting Bolin’s back. “The power of legend is only as strong as your belief,” he soothed. A corner of Bolin’s mouth turned up. “Watch and learn.” Gripping high on the handle, he slid his opposite hand close to his hammer’s head. Bolin, swung the sledge high. The blow, ringing like a bell, sent shock waves through Yáng’s arms and shoulders. Foshan, following Bolin’s example, raised his hammer. The heavy tool came down on Yáng’s hand. “Idiot!” Yáng cried, holding up a broken, bloody finger. Diving at Foshan, Yáng pummeled him with his good fist. Bolin broke them apart. It didn’t register immediately that he was frantic. “Stop! It took several work crews and irate supervisors to calm the scuffle. The three were sent back to camp, ashamed. Four months later, the brothers congratulated themselves for helping Bolin. By talking about their families, he could get in and out of the tunnel without incident. Bolin told them he could still see the Jiang Shi because his brother was one. “There are hundreds of them hanging from the ceiling. Their ears rotate, following sounds made by people below,” he confided. Crews working at both ends of the tunnel, plus from the inside out, had broken through. The three had finished their most recent borehole. They took a break while waiting for the nitro carrier. Yáng walked a short distance to stand behind a boulder. He was appreciating the fresh alpine breeze while creating a warm puddle near his feet. A loud pop, a burst of air, and a wet spray pelted his back. Bolin was right, Yáng thought, as he entered the tunnel with his new crew. Hordes of menacing ghouls hung from the ceiling. Maniacal, green-tinged faces smiled at him revealing double rows of sharp teeth. Two of them looked like Foshan and Bolin. Yáng let loose a demented scream. To learn more about Bonnie McKeegan, her poetry, fiction, and therapeutic writing exercises click here. The origins of mythical creatures, created from fear, to explain the, as yet, unexplainable is always an intriguing subject! When background research for Crossings EAST revealed the Jiang Shi, I was thrilled. It took a considerable amount of thinking to decide to leave the paranormal element out of that story. 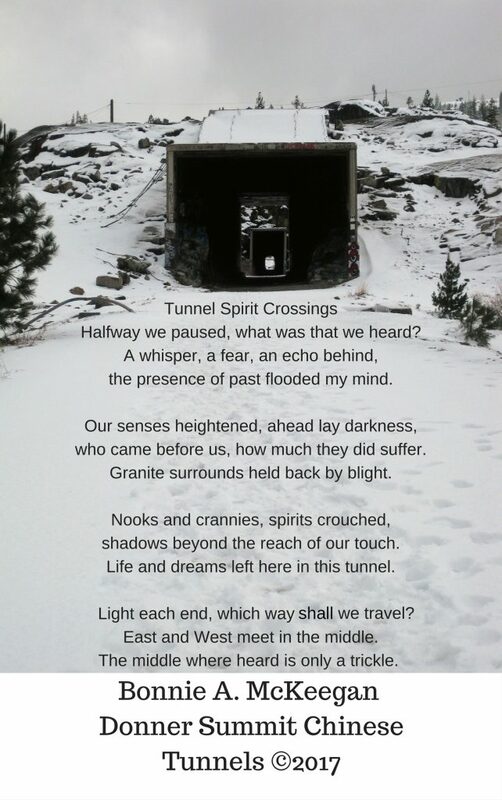 This short story was written to get the ‘paranormal’ out of my system before the work of deep character development begins on Crossings EAST, a historical fiction novel about Chinese railroad workers at Donner Pass. Click here to read more of Lisa’s short stories. For additional free video creation tools (fonts, illustrations & clip art), click here.